Battery is the unwarranted application of force to the person of another. Charged as a misdemeanor under California Penal Code 242 pc, battery requires either harmful or offensive contact to another person. 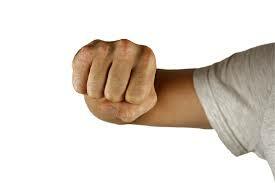 Moreover, pushing, punching, or striking someone with an object are primary examples of battery charges. However, for liability the force need not be violent or even leave any mark on your accuser. Although a battery cannot be accomplished without a touching of the victim, a person may commit this offense indirectly by causing force to be applied to the person of another. For instance, a battery is committed if someone administers poison to someone else, infects them with a disease, or even by resort to some intangible substance, such as a laser beam. Force is the element distinguishing battery from assault. Assault can be regarded as an attempted, but unsuccessful battery. In other words, assault does not require any physical contact with your accuser. However, assault is a lesser offense to battery because it’s impossible to commit battery without assaulting someone. To be convicted of battery, the government is required to prove the basic elements beyond a reasonable doubt: (1) You willfully touched another person in a harmful or offensive manners, and (2) You were not acting in self-defense or defending another. Additionally, there are a number of aggravating factors which could elevate a simple battery into a more serious charge, including a strike offense. To avoid such heavy penalties, it’s important to retain an experienced Orange County violent crimes attorney. A conviction carries up to six (6) months in the county jail and a fine not exceeding $1,000. In addition, the court will impose a period of probation requiring community service, anger management, and order restitution to cover any medical bills or financial loss. Furthermore, the court may impose a protective order restricting all contact with the alleged victim. The order will serve as a basis for further arrest if violated. Not to mention, a battery conviction will carry adverse consequences to anyone holding a professional state license or seeking US citizenship. Any PC 242 accusation requires swift attorney intervention to assist in preserving all defenses. Moreover, with the passage of time, cuts, scratches, and other body markings heal depriving you from presenting photographic evidence in corroboration with a self-defense claim. Self-defense justifies using harmful or offensive contact against your accuser when death or bodily injury is imminent. In addition, battery requires willful conduct. Thus, if harmful or offensive contact resulted by accident or misfortune, then you are not guilty of this offense. Lastly, the government’s case normally rests heavily on the credibility of your accuser. Thus, any prior incidences of lying, cognitive disorders, or having a prior history for violence will serve as crucial impeachment evidence in your favor. Penal code 242 allegations require the retention of an experienced and reliable criminal defense lawyer to ensure the government is not stepping over the boundaries of your constitutional rights. With severe penalties following a conviction, contact the Law Offices of John D. Rogers to schedule a free confidential consultation concerning your rights and defenses with an experienced Orange County criminal defense lawyer. We handle all battery related charges occurring in Orange County, Los Angeles, Ventura, San Bernardino, and Riverside counties. See U.S. v. Laurico-Yeno 590 F.3d 818 (9th Cir. 2010). See People v. Dealba (2015) 242 Cal.App.4th 1142. See People v. Hayes (2006) 142 Cal.App.4th 175. Willful means the person actually intended to commit a willful and unlawful use of force or violence upon another; “willful” in this context means simply the purpose or willingness to commit the act. See People v. Lara (1996) 44 Cal.App.4th 102.